Selective Catalytic Reduction technology is used to reduce diesel engine exhaust gas NOx emissions. The SCR efficiency is maintained at higher levels with insulation blankets, as the process improves at higher temperatures. 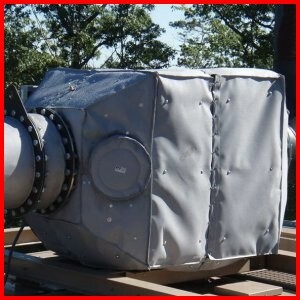 We can provide custom removable blankets for any size SCR. Common models we have worked with are Steuler, Argillon, Siemens, Cummins and CAT.